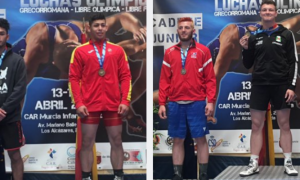 On Saturday at the 2018 Croatia Open, three USA Greco-Roman Cadets — Nate Rubino (45 kg, MWC), Conor Knopick (55 kg, MWC), and Andy Garcia (110 kg, La Gente WC) — earned gold medals while Caden Arps (51 kg, MWC) picked up a silver. It wasn’t just the medals that made the American performance important, but rather, what those medals mean. Rubino, who also placed first the week before at the Refik Memišević-Brale Tournament in Subotica, Serbia, won both of his tournaments by competing in only one match. 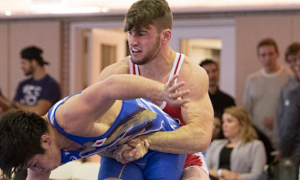 On the surface, that might not seem jump-off-the-page impressive, but consider this: his two opponents (Zott Zohai of Serbia last week and Albert Nakaev of Germany on Saturday) compete in only one style of wrestling year-round. That is not the case with Rubino, or any of the other US boys who were part of this tour. But what did help Rubino, is that like Knopick, he comes from a first-class training environment in Nebraska and on top of that, he was part of this same tour a year ago. So, yeah, relevant overseas experience counts for more than just passport stamps. 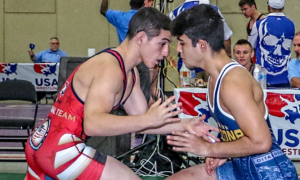 We highlighted Knopick two weeks ago prior to his departure for Serbia for two reasons: 1) his talent level and overall ability related to authentic Greco-Roman wrestling, and 2) he is a young athlete who actively seeks out competition. 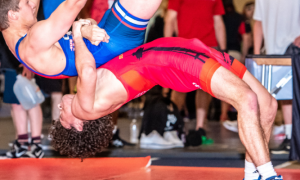 Knopick took second at Fargo last summer and put together a strong performance in the Cadet Trials, falling only to 2017 World Teamer Dylan Ragusin (Ill) via criteria. Neither of those achievements are as interesting as what happened over the weekend. 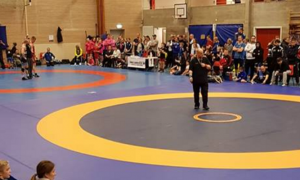 On Saturday, Knopick went 4-0, defeating two athletes who recently competed at the Cadet Euros, Antoni Cibaric (CRO) and Numan Bayram (GER). Knopick tech’ed both opponents. In fact, he tech’ed three out of the four guys he faced two days ago. Finally, there is the heavyweight. The Refik Memišević-Brale represented Garcia’s very first international event and he did okay, going 1-3. A week later at the Croatia Open, which by all accounts is at the very least equal in terms of caliber of opponents, the Coloradan bullied his way to the top. The best part is that in order to do so, Garcia had to beat two guys who he lost to the week before. 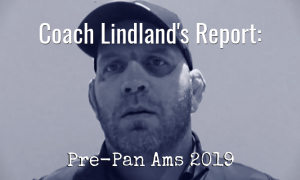 It’s a big enough deal that Garcia’s performance is mentioned in the forthcoming Coach Lindland’s Report scheduled for release later this week. 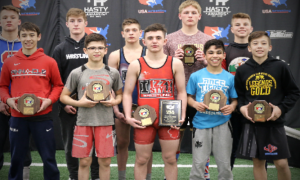 Overall, Team USA (or — the Go Greco USA Developmental Program) placed third at the Croatia Open with five entries. By comparison, Croatia, the team champs, entered 10 wrestlers for its home tournament. The last time this section required an update was back in April when over 100 US age-groupers spending time in Europe during the same week. 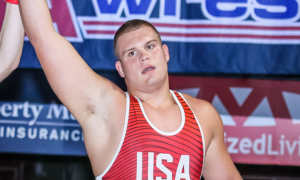 With the pair of Pan Am Championships that have taken place thus far along with Kevin Beazley (97 kg, Cliff Keen) and Morgan Flaharty (67 kg, NYAC) both capturing bronze in Italy last month to qualify for this week’s Senior Trials, and the recent Cadet placewinners these past two weeks, a refresh is necessary. 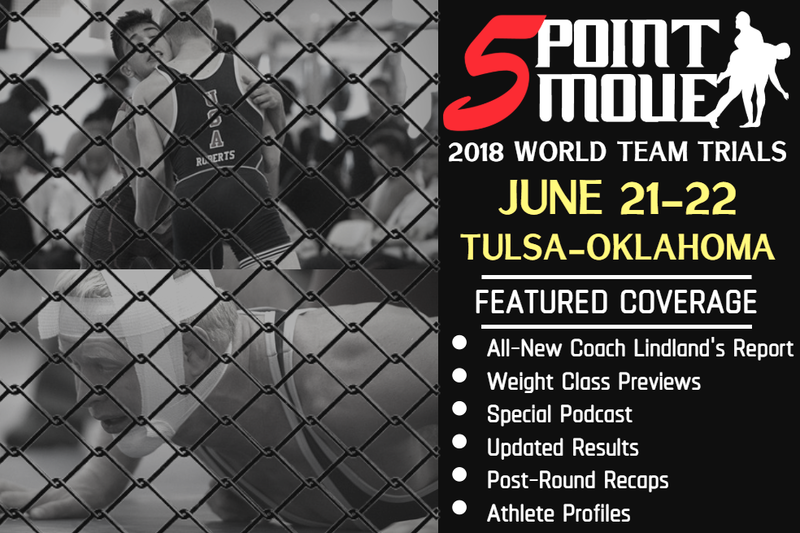 The 2018 US Senior Greco-Roman World Team Trials begin this Thursday in Tulsa, Oklahoma. National champs are enjoying a bye to Friday’s best-of-three finals, welcoming back a twist to the proceedings that on its own will deliver plotlines worthy of following. Even better, most of the challenge tournament weight classes promise to provide plenty of compelling match-ups. Up and down the brackets are potential classics, depending on how the seeds fall into place (more on that this week). As is the case each year pertaining to the Senior Trials, you can depend on us for rounded coverage before, during, and after the event.